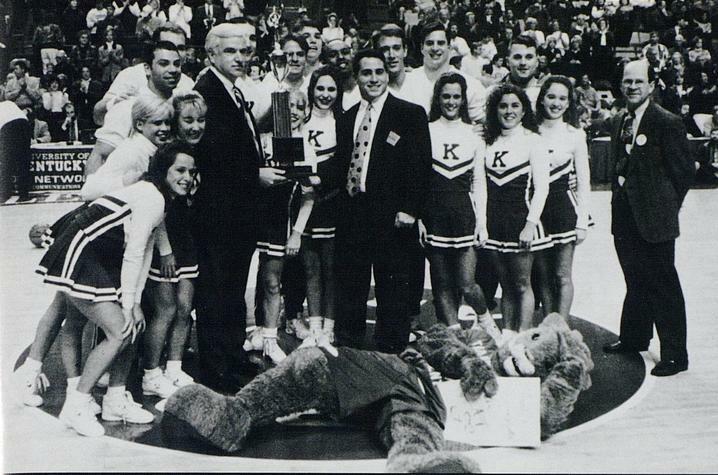 Segment of oral history with UK Dance Team Coach Dawn Walters on her time cheerleading at UK. The History of The UK Cheerleading Squad: Jay McChord from Renee Collins on Vimeo. LEXINGTON, Ky. (Jan. 17, 2019) — C-A-T-S spells more than a storied tradition in basketball. 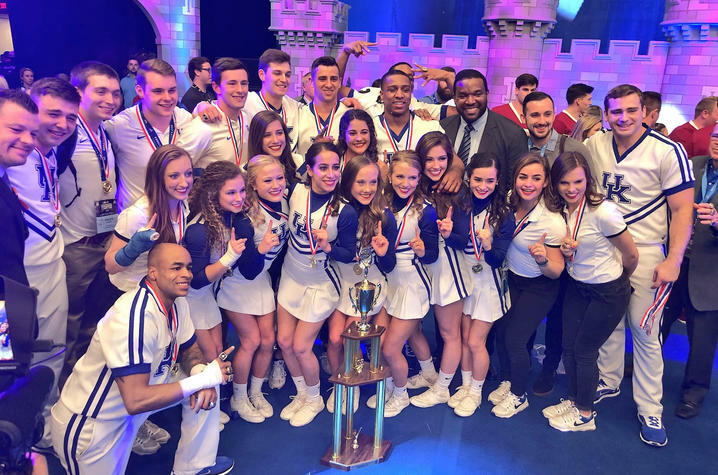 It is also the chant of the 23-time Universal Cheerleaders Association champions — the University of Kentucky Cheerleading team. And this weekend, the team will travel back to Orlando, Florida, to defend its title and, hopefully, bring back a 24th national championship. 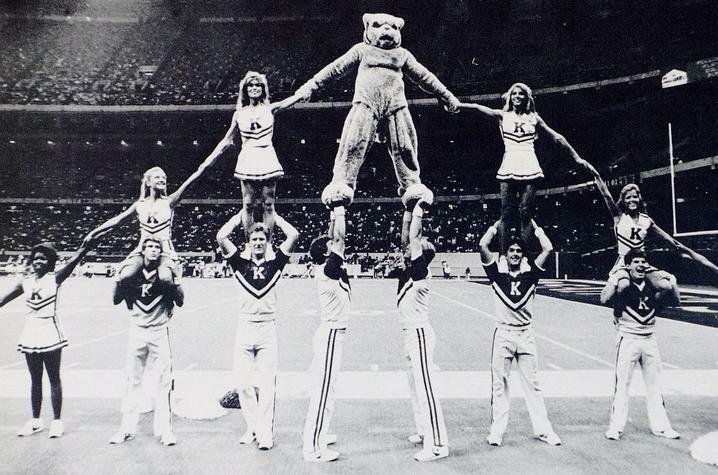 While the university had cheerleaders on its sidelines since 1905, the team has evolved over the 100 plus years from “yell leaders” to a competitive athletic activity. Though the team has been a beloved part of athletics’ events at UK from those early years on, it wasn’t until it captured the UCA title in 1985 that the squad would start to the lay the groundwork for a national cheerleading dynasty. "I've hoped that the Nunn Center could launch an oral history project on the history of UK Cheerleading for some time," Boyd said. "The history of this team is truly epic and needs to be recorded and preserved. 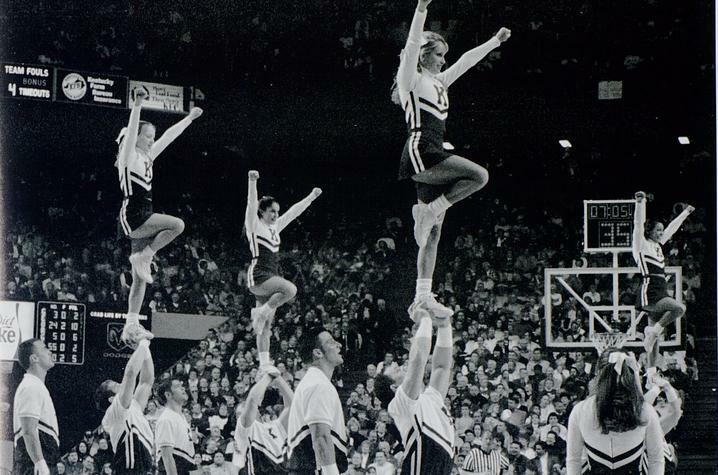 While this story is important to UK history, it is important at the national level for telling the history of cheerleading as well as the history of college athletics in general. I am so happy that we are able to turn this idea into reality." For Collins, many elements of the interviews resonated deeply. She too was inspired by participants’ comments on Baldwin’s positive outlook on life, which he says he takes “one eight-count at a time.” And as someone who in her UK job has instructed others on being highly effective, it might not be surprising Collins recalled fondly a teary-eyed Eric Bumm reading a handout given to him by Williamson on the first day of his cheerleading career titled "Absolute Responsibility" — a list of principles that were expected of the team for the honor of being selected to be a UK cheerleader. Bumm still refers to the document today. Rebecca Bach Cain, who also cheered for UK in the 1980s, agreed. "The oral history on UK Cheerleading means the world to me and I know my colleagues feel the same! To have been able to be a part of the UK Cheerleading legacy is one of the highest honors I have had in my lifetime. I cannot wait to share our journey and memories with everyone." Currently, the public can get a behind-the-scenes look at UK Cheerleading with 11 interviews online varying 60-90 minutes in length. These interviews have been fully indexed using Nunn Center's Oral History Metadata Synchronizer (OHMS), a digital tool that improves access to online oral histories by connecting a text search with the corresponding moment in online audio or video. 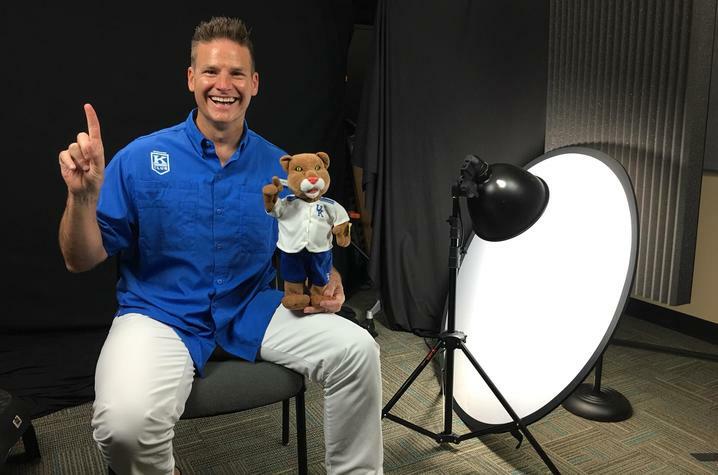 To see a full list of online interviews on UK Cheerleading, visit: https://kentuckyoralhistory.org/ark:/16417/xt7b5m627z01. 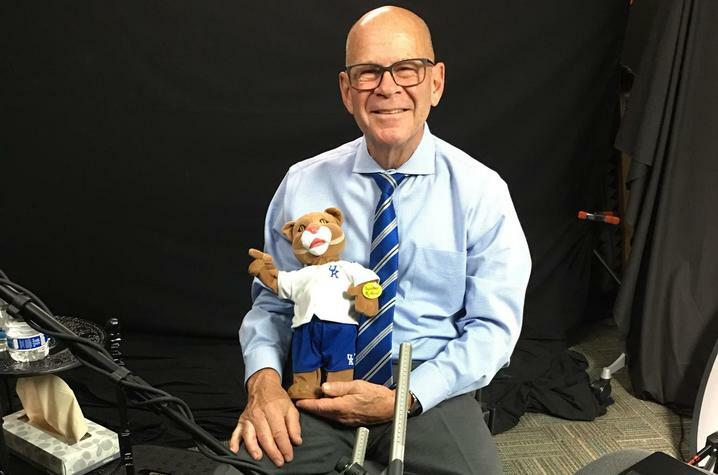 The Nunn Center for Oral History at UK Libraries' Special Collections Research Center is recognized as an international leader and innovator in the collection and preservation of oral histories. The center is home to over 12,000 oral history interviews that provide a unique look into Kentucky and American history and represent an irreplaceable resource for researchers today and generations from now. The Nunn Center’s collections focus on 20th century Kentucky history, Appalachia, Kentucky writers, agriculture, black history, the history of education, politics and public policy, the Civil Rights Movement, veterans, the university, and health care, as well as the coal, equine and Kentucky bourbon industries.